Titus loves to hang on the couch with us. 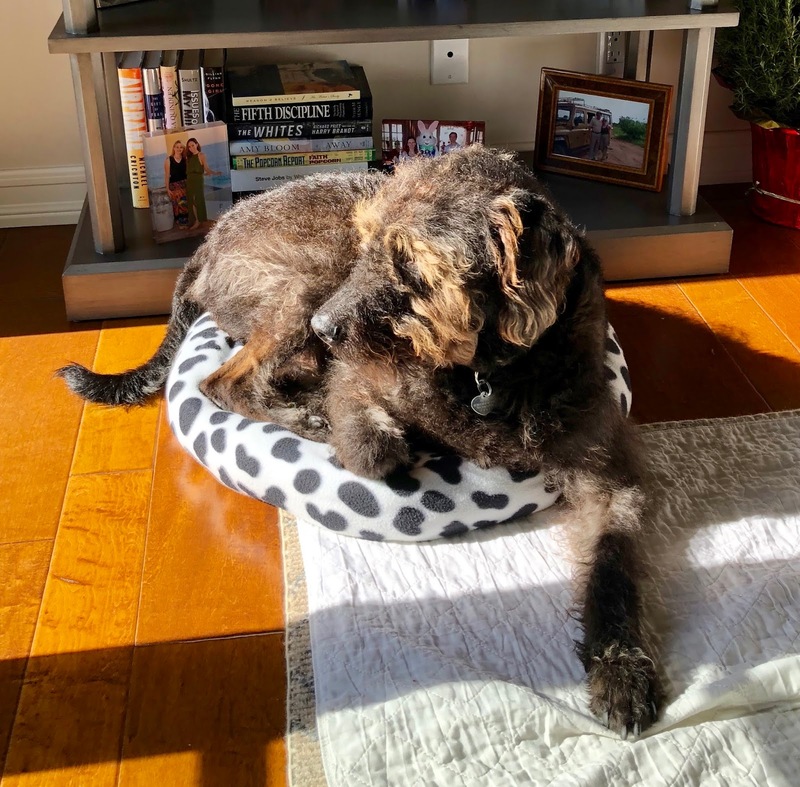 But when we found him in Bunnybell's bed we knew he really wanted a bed of his own. 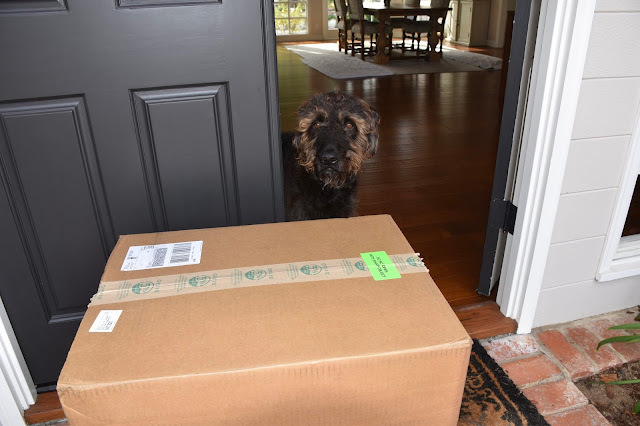 Next thing we know, the doorbell rings and a giant box arrives..
Titus immediately checks it out. Voila ! Titus has his very own bed. He is SO happy. Now we have to find a big enough space to put it! P.S. That also looks like a great box. If you have no plans for it, could we have it? Cats love boxes, you know!